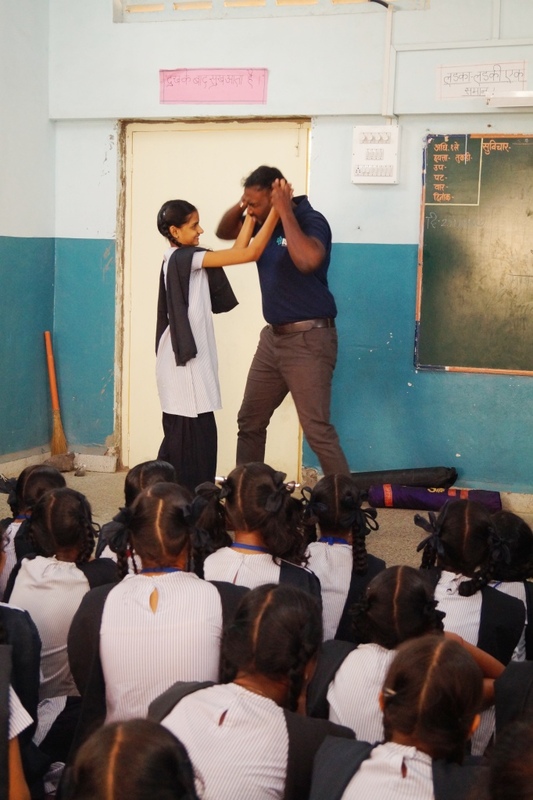 The Life Skills Empowerment project team recently organised a 2-hour Self-Defence training session for all the 50 girls in their school by two experts by the name of Venkatesh and Mercial. They have been in the field of self-defence as trainers for a number of years. In fact, having gained experience in security and intelligence as well in the past. And now they work together to empower girls with the simplest of tricks to be safe in hostile environments. On the day of the training, the girls were very excited to know what all they can learn. Are they going to learn to kick and run or some kind of karate moves? But the training was extremely simple to fathom. 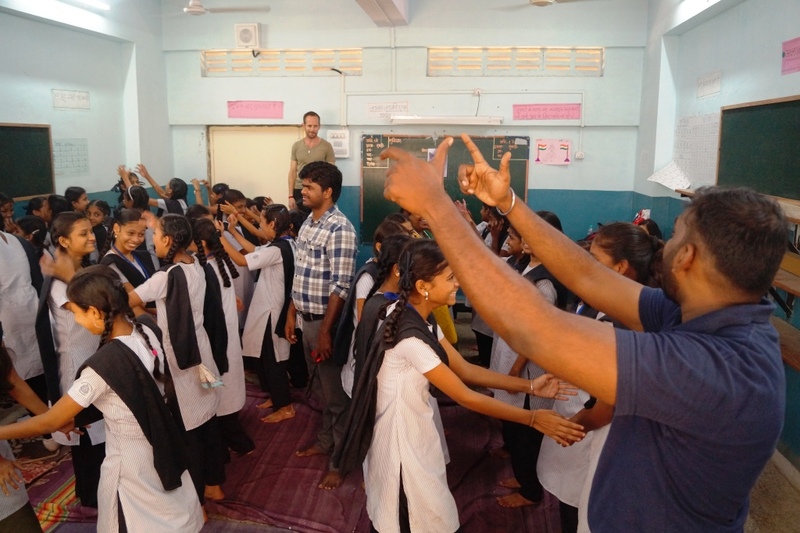 Both Venkatesh and Mercial conducted the training in sync, teaching the girls about the simplest of methods to defend oneself. Keeping the session entirely practical, they drew examples from the nature, example roar of a tigress, pulling of ears by babies when they are annoyed by another person’s forced cuddling and other such examples. First they created a fake situation, such as a man following you, or a man touching you inappropriately, or trying to pull you into a vehicle and other such examples and then the two trainers enacted out the technique themselves and then with a student as well. Then all the girls practiced the technique with each other as well. 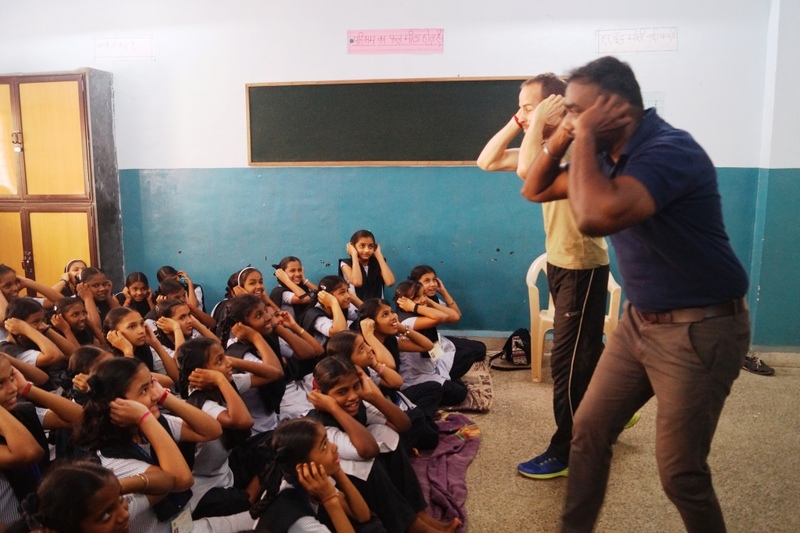 The trainers were very carefully of showing the intensity of the actions and kept repeating how these techniques are to be used only and only for SELF DEFENCE AGAINST ASSAULT AND MOLESTATION and not for fights with friends or siblings! The girls thoroughly enjoyed the two hours of training as the trainers were extremely entertaining in their approach and so the question-answer session at the end of the training was also very interactive. “We believe we should always mirror our audience. If my audience were adults, that is how I would give them examples. But here we were training young teenage girls and so we adopted the fun approach to ensure that the techniques would stay with them longer, rather than engaging in boring methods that they would lose interest in quickly”, they said after the completion of training. “This is very important since we have to ensure that the girls imbibe this technique as a calculated reflex action in themselves. And that is why it is important, that even though the training is now over, they practice these techniques regularly, so that, god forbid, if a hostile situation arises, they can remain calm in their head and think on their feet to act accordingly.” Completely agreed! 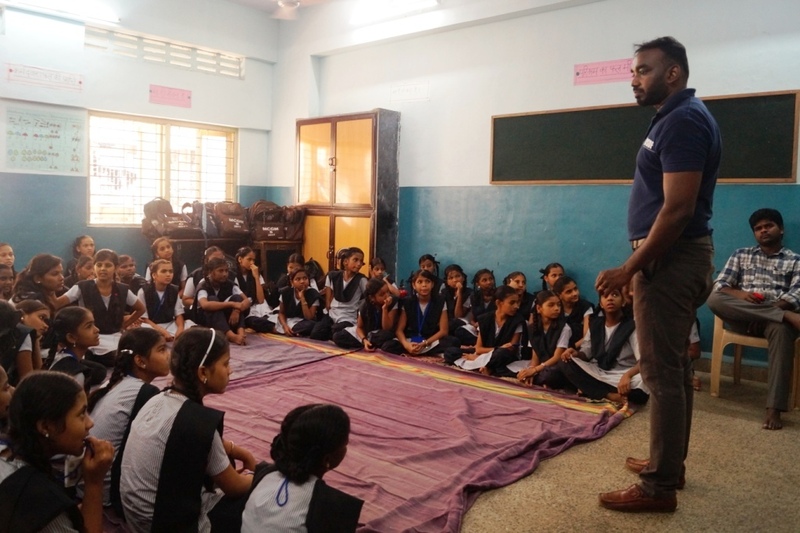 To make this session possible, we want to thank the Municipal School (where the girls study) for giving us the space for the training, and a big thank you to Venkatesh and Mercial for conducting this training for the LSE girls without expecting anything in return at all! We hope to continue our association with you in the future as well and your teachings are invaluable to us and to the society in general. Thank you very much for your time and effort for us!! Very great activity,It should compulsory for all girls Now a days.